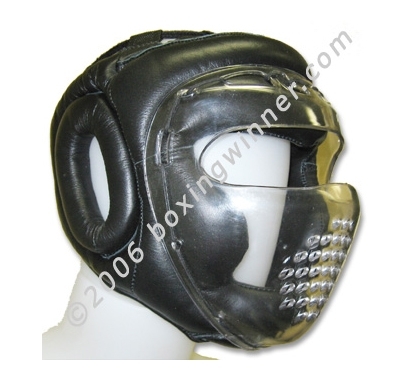 Headgear with Plexiglass Removable Mask. 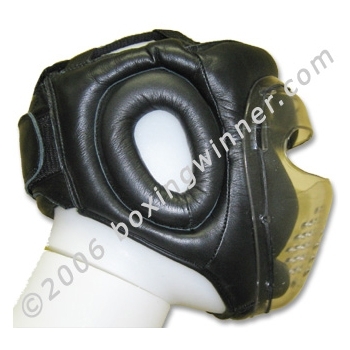 Cowhide Leather: High-quality, shock-absorbing foam padding. Leather, with Clarino suede lining. Top lace adjustment. 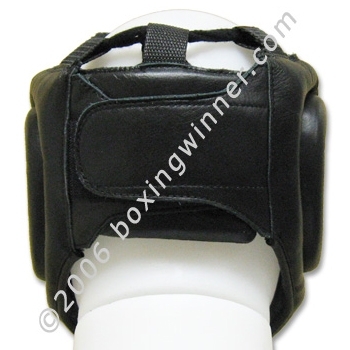 Large, padded earpieces. 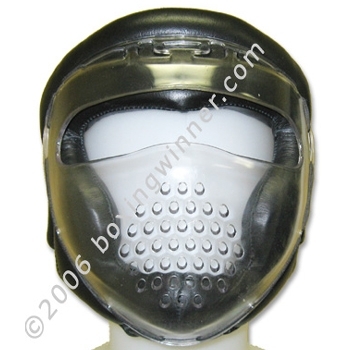 Fully removable face guard can be securely attached with Velcro strips, guard made of hard plexiglass which is un-breakable.